The seasoned PGA Tour Golf series shoves Tiger out of the way this year, instead choosing to put “The Masters” tournament front and center. 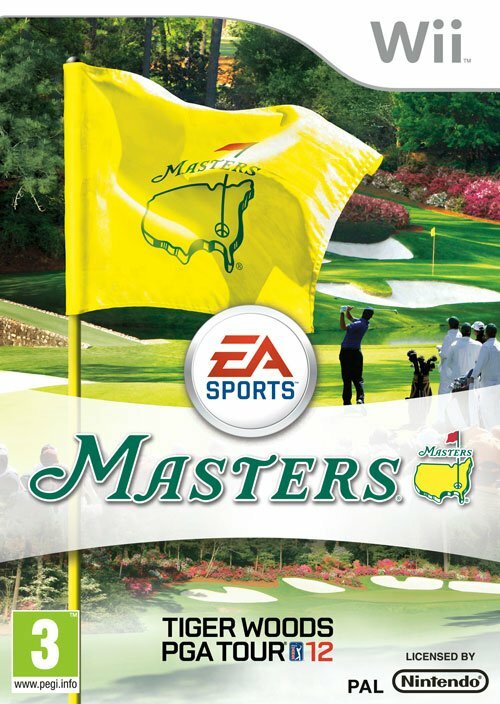 The case, promotion and advertising for Tiger Woods PGA Tour 12: The Masters are all Masters-centric, perhaps in a first step toward abandoning the long-running Tiger Woods branding entirely. But has EA taken a mulligan to start the..
Start your journey down the “Road to the Masters” with Tiger Woods PGA TOUR 12: The Masters. For the first time in franchise history, players will be able to step on to the hallowed grounds of Augusta National to experience the rich history and tradition of the Masters Tournament. Rely on the advice of your caddie to strategize and focus your game while feeling the intensity of the PGA TOUR season. Embark on the “Road to the Masters” as your career begins on the amateur tour and work your way through Q School, Nationwide Tour, and finally, the PGA TOUR. If you need a break from the grind of tournament action, play a round of mini-golf on one of five fun-filled layouts. 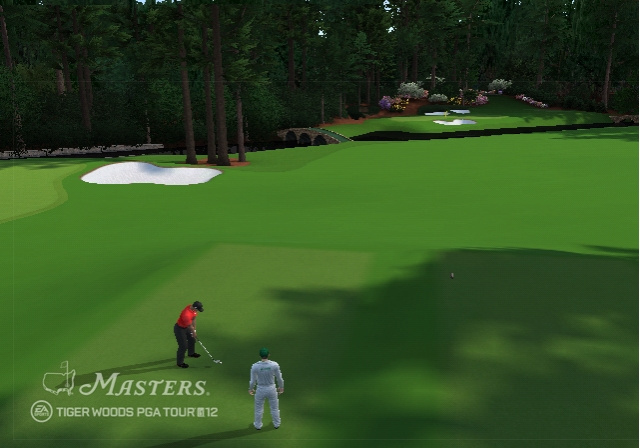 Tiger Woods PGA TOUR 12: The Masters has something for every golf fan and is the must-have title this year! · Play the Hallowed Grounds of Augusta National Golf Club – For the first time ever in Tiger Woods PGA TOUR franchise history, players will now be able to compete at Augusta National Golf Club. Experience the historic holes that comprise Amen Corner and make a run at capturing the distinctive Green Jacket. · Masters Moments – Relive and play through memorable, historic moments of the Masters. Take the challenge and see where you measure up against the greats who have played in this legendary tournament. 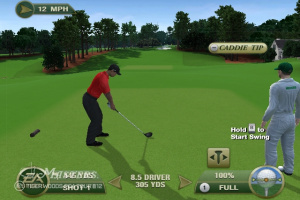 · Tiger at the Masters – In this all-new mode, relive each of Tiger’s four wins at the Masters by attempting to equal or beat his scores in each round of the Tournament. · All-New Commentary Team – Jim Nantz teams up with David Feherty to lead the all-new broadcast presentation package and provide the play-by-play of each swing. · Climb the World Ranking – Feel the pressure of an all-important putt while working your way through the amateur tour, Qualifying School, and the Nationwide TOUR. Perform well enough to earn a spot on the PGA TOUR! 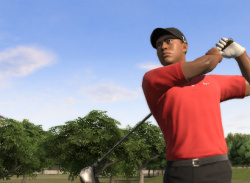 In Tiger Woods PGA TOUR 12: The Masters, the all-new career mode closely mirrors the real-life journey of an amateur golfer as they strive to make it onto the PGA TOUR. · The Caddie Experience – Play like a true pro with a caddie alongside, assisting and supporting your every swing. The caddie will evaluate all pre-shot factors, such as wind, lie, and yardage, to provide a recommended shot. As your caddie’s knowledge of each course increases, he will level up through “Course Mastery,” making him even more valuable to your success. · Presidents Cup – Take on the best from around the world as you compete in this new offline team-based mode. This tournament features the U.S. team versus the top golfers outside of the Europe. · The Best Golfers in the World – Hit the links as the top talent in golf, including PGA TOUR Rookie of the Year Rickie Fowler, past Masters champion Zach Johnson, Ryder Cup participant Bubba Watson, and many more. · Championship Courses – Take on the best of the best on 24 of the world’s most celebrated courses, including Augusta National Golf Club, Royal Melbourne Golf Club (Australia), Atlanta Athletic Club, Pinehurst, Torrey Pines, St Andrews Links and Pebble Beach Golf Links.